Radiohead’s forthcoming ninth album, Heart Shaped Moon will be released on 8 May, 2016 The Oxford group announced the news alongside a new track entitled Daydreaming, which is an ambient, complative and euphoric Orchestral work, while the first song Burn the witch features a burst of taut, tense music, driven by pizzicato strings”. The promo video for Daydreaming was also directed by Paul Thomas Anderson and Jonny Greenwood’s lush orchestration adding to its cinematic suspense. Radiohead’s previous album releases include Pablo Honey, The Bends, OK Computer, Hail to the Thief, The King of Limbs and In Rainbows. In between albums, the group’s members have concentrated on solo projects: Drummer Phil Selway released his second solo album, Weatherhouse, in 2014, while Yorke toured and recorded with Flea, Nigel Godrich, Joey Waronker and Mauro Refosco on the Atoms for Peace project. His solo album, Tomorrow’s Modern Boxes, was released in 2014. Guitarist and keyboardist Jonny Greenwood meanwhile worked on scores of films,many of which have been directed by Anderson. He has also worked with a number of classical musicians, most notably the London Contemporary Orchestra – both his film soundtracks and orchestral work are evident in these two new tracks. The album will also be released in physical formats from 17 June. The group will also be touring, performing live dates in Amsterdam, Paris, London, New York, Los Angeles and Mexico City between May and October, in addition to festivals in Lyon, Barcelona, Reykjavik, St Gallen, Lisbon, Montreal, Osaka, Tokyo and Berlin. Best known for writing “The Wonderful Wizard of Oz”, the prolific American author Lyman “L.” Frank Baum sadly passed away 6th May 1919. He was born on May 15, 1856 in Chittenango, New York, in 1856, and grew up on his parents’ expansive estate, Rose Lawn. AS a young child, he was tutored at home with his siblings, but at the age of 12, he was sent to study at Peekskill Military Academy, and after two utterly miserable years he was allowed to return home. Baum started writing at an early age and His father bought him a cheap printing press; which, with the help of his younger brother Henry (Harry) Clay Baum, he used to produce The Rose Lawn Home Journal. The brothers published several issues of the journal, Baum also established a second amateur journal, The Stamp Collector, he also printed “Baum’s Complete Stamp Dealers” Directory, and started a stamp dealership with friends. At the age of 20, Baum started breeding fancy poultry, and specialized in raising a particular breed of fowl, the Hamburg. In March 1880 he established a monthly trade journal, The Poultry Record, and in 1886, he published his first book: The Book of the Hamburgs: A Brief Treatise upon the Mating, Rearing, and Management of the Different Varieties of Hamburgs. Baum, then became interested in theatre, performing under the stage names of Louis F. Baum and George Brooks. In 1880, his father built him a theatre in Richburg, New York, and he set about writing plays and gathering a company to act in them. The Maid of Arran, a melodrama with songs based on William Black’s novel A Princess of Thule, proved a modest success. Baum not only wrote the play but composed songs for it and also acted in the leading role. His aunt was also the founder of Syracuse Oratory School, and Baum advertised his services in her catalog to teach theatre, including stage business, playwriting, directing, and translating, revision, and operettas. On November 9, 1882, Baum married Maud Gage, and in July 1888 they moved to Aberdeen, Dakota, where he opened a store, “Baum’s Bazaar” and later editing a local newspaper, The Aberdeen Saturday Pioneer, where he wrote a column, “Our Landlady”. Baum’s description of Kansas in The Wonderful Wizard of Oz is based on his experiences in drought-ridden South Dakota. After Baum’s newspaper failed in 1891, he, Maud and their four sons moved to Humboldt Park, Chicago, where Baum took a job reporting for the Evening Post. In 1897 he wrote and published Mother Goose in Prose, a collection of Mother Goose rhymes written as prose stories, which was illustrated by Maxfield Parrish. In 1899 Baum partnered with illustrator W. W. Denslow, to publish Father Goose, which was a collection of nonsense poetry, which became the best-selling children’s book of the year.In 1900, Baum and Denslow published The Wonderful Wizard of Oz to much critical acclaim and financial success, and this became the best-selling children’s book for two years after its initial publication. Baum went on to write thirteen more novels based on the places and people of the Land of Oz.Two years after Wizard’s publication, Baum and Denslow teamed up with composer Paul Tietjens and director Julian Mitchell to produce a musical stage version of the book under Fred R. Hamlin, which, opened in Chicago in 1902, then ran on Broadway for 293 stage nights from January to October 1903. It returned to Broadway in 1904, where it played from March to May and again from November to December. It successfully toured the United States with much of the same cast, until 1911, it differed considerably from the book, and was aimed primarily at adults.Baum then wrote a sequel, The Woggle-Bug, however the Scarecrow and Tin Woodman were omitted from this adaptation. He later worked on a musical version of Ozma of Oz, which eventually became The Tik-Tok Man Of Oz. This did fairly well in Los Angeles, and also began a stage version of The Patchwork Girl of Oz. Baum also wrote several plays for various celebrations. and In 1914, after moving to Hollywood, Baum started his own film production company, The Oz Film Manufacturing Company. Many times during the development of the Oz series, Baum declared that he had written his last Oz book and devoted himself to other works of fantasy fiction based in other magical lands, However, persuaded by popular demand, letters from children, and the failure of his new books, he returned to the series each time.Sadly on May 6th 1919 L Frank Baum passed away after having a stroke, nine days short of his 63rd birthday. He was buried in Glendale’s Forest Lawn Memorial Park Cemetery. 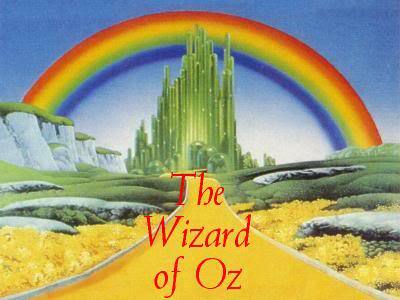 His final Oz book, Glinda of Oz, was published on July 10, 1920, a year after his death. The Oz series was continued long after his death by other authors, notably Ruth Plumly Thompson, who wrote an additional nineteen Oz books. his other works also remained popular after his death, with The Master Key appearing on St. Nicholas Magazine’s survey of readers’ favorite books well into the 1920s. His novels also predicted such century-later commonplaces as television, laptop computers (The Master Key), wireless telephones (Tik-Tok of Oz), women in high risk, action-heavy occupations (Mary Louise in the Country), and the ubiquity of advertising on clothing (Aunt Jane’s Nieces at Work), and the Wonderful Wizard of Oz series of books remains popular to this day and his novels have been adapted for screen numerous times, the most famous being the 1939 version starring Judy Garland as Dorothy Gale which is a perennial Favourite on television during holidays. Prolific American Mystery/crime thriller author Jeffery Deaver was born May 6, 1950 in Glen Ellyn, Chicago, Illinois. He grew up in a creative family. His mother was an artist, and his father an advertising writer. His sister Julie Reece Deaver is an author of young adult novels.The book that inspired him to write was From Russia With Love, a James Bond novel by Ian Fleming. He Earned a bachelor of journalism degree from the University of Missouri and a law degree from Fordham University and originally started working as a journalist. He later practiced law before embarking on a successful career as a best-selling novelist. He has been awarded the Steel Dagger and Short Story Dagger from the British Crime Writers’ Association and the Nero Wolfe Award, and he is a three-time recipient of the Ellery Queen Reader’s Award for Best Short Story of the Year and a winner of the British Thumping Good Read Award. His novels have appeared on bestseller lists around the world, including The New York Times, The Times, Italy’s Corriere della Sera, The Sydney Morning Herald, and The Los Angeles Times. Deaver also edited The Best American Mystery Stories 2009. 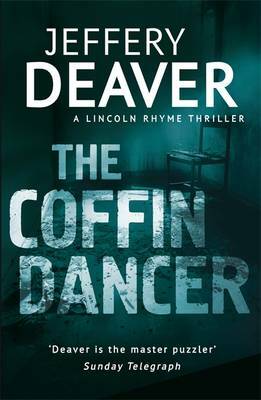 Three of Deaver’s novels have also been produced into films: Maiden’s Grave made for TV as film Dead Silence 1997, The Bone Collector released 1999, The Devil’s Teardrop made for TV and in 2010 Deaver also created the characters and—in a collaboration with 14 other noted writers—wrote the 17-part serial thriller The Chopin Manuscript. Deaver has also written an official new James Bond novel: Carte Blanche, which was published 2011. Other novels written by Deaver include Mistress of Justice (1992), The Lesson of Her Death (1993), Praying for Sleep (1994), A Maiden’s Grave (1995), The Devil’s Teardrop (1999), Speaking in Tongues (2000), The Blue Nowhere (2001), Garden of Beasts (2004), The Chopin Manuscript (2008), The Bodies Left Behind (2008), Edge (2010), The October List (2013), Manhattan which Is My Beat (1988), Death of a Blue Movie Star (1990), Hard News (1991), Shallow Graves (1992), Bloody River Blues (1993), Hell’s Kitchen (2001), The Bone Collector (1997), The Coffin Dancer (1998), The Empty Chair (2000), The Stone Monkey (2002), The Vanished Man, The Twelfth Card, The Cold Moon, The Broken Window, The Burning Wire, The Kill Room, The Skin Collector, The Steel Kiss, The Sleeping Doll, Roadside Crosses, XO, Solitude Creek, Carte Blanche, A Confederacy of Crime, Twisted, More Twisted andTrouble in Mind. International No Diet Day (INDD) is celebrated annually on 6th May. It is an annual celebration of body acceptance, including fat acceptance and body shape diversity. This day is also dedicated to promoting a healthy life style with a focus on health at any size and in raising awareness of the potential dangers of dieting and the unlikelihood of success; the Institute of Medicine summarises: “those who complete weight loss programs lose approximately 10 percent of their body weight only to regain two-thirds within a year and almost all of it within five years.” The first International No Diet Day was celebrated in the UK in 1992. Feminist groups in other countries around the globe have started to celebrate International No Diet Day, especially in the USA, Canada, Australia, New Zealand, India, Israel, Denmark and Brazil. Question the idea of one “right” body shape. Raise awareness of weight discrimination, size bias and fat phobia. Declare a day free from diets and obsessions about body weight. Present the facts about the diet industry, emphasizing the inefficacy of commercial diets. Honor the victims of eating disorders and weight-loss surgery. Help end weight discrimination, sizism and fat phobia. However it is not popular with everyone, The Institute of Medicine’s Committee To Develop Criteria for Evaluating the Outcomes of Approaches To Prevent and Treat Obesity stated, in its book Weighing the Options: Criteria For Evaluating Weight Management Programs, that “the intractability of obesity” has led to the anti-dieting movement. International No Diet Day is then mentioned and the authors comment:We agree, of course, that there should be more appreciation and acceptance of diversity in the physical attributes of people, more discouragement of dieting in vain attempts to attain unrealistic physical ideals, and no obsession with weight loss by individuals who are at or near desirable or healthy weights. However, it is inappropriate to argue that obese individuals should simply accept their body weight and not attempt to reduce, particularly if the obesity is increasing their risk for developing other medical problems or diseases. Two other incidents strengthened Mary Young’s desire to expose what she believes is the futility of dieting. First, a television program in which three women were having their stomachs stapled in an effort to become thin. None of them received any counseling before undergoing surgery and one of the women had split her staples, regained the weight, and undergone the operation again – three times. Mary found this program very distressing, eventually she realised that she identified with the physical and emotional pain of the women in the program because she had herself experienced that deep self-loathing. The second incident, about a month later, was Young reading in a newspaper aboout a teenager who had hanged herself because she was bullied for being fat. She was size 14 (USA size 12). In May 1992, Young introduced the first No Diet Day. Originally intended to be a UK-based National No Diet Day, a week before the event, International Clear Your Desk Day was declared and Young was inspired to make her holiday also an international one. It was a small affair to be celebrated by a dozen women with a picnic in Hyde Park, London. Ages ranged from twenty-one to seventy-six and they all wore stickers saying: Ditch That Diet. It rained, and so Mary Evans Young held the picnic in her home. The media turned up in force. By 1993, feminists in many more countries were planning on celebrating International No Diet Day. Americans, particularly those in California, Texas, New Mexico and Arizona, were concerned that the date clashed with the Cinco de Mayo celebrations in the southern states. For Young there was no particular significance to 5 May so she agreed to change the date to May 6, coincidentally her birthday. During No Diet Day, many restaurant owners offer indulgent treats for their customers as a Marketing Technique. In a similar approach, it was suggested that local campaigns should be added to the national social Marketing strategy, as a result a local Healthy Eating campaign was added onto ‘National No-Diet Day’.